Visitors from three of the thirteen countries that BHP operates in have come to London in search of accountability for the company’s operations in their respective homes. These range from the fall-outs of the widely-known Samarco dam disaster in Brazil, to the forced displacement of communities surrounding the Cerrejón coal mine in Colombia and the proposed Rio Tinto/BHP mining project, the Resolution Copper Mine in Arizona, USA. Below are demands from each of the communities who are in London to attend the BHP AGM. Read the biographies of the visitors and Join the protest outside the AGM at 11am on Thursday 19 October. Mining company Cerrejón is a major supplier of coal to UK power stations. It has been exploring, exploiting and exporting coal in the northern región of La Guajira for 40 years. During this time it has caused great damage as well as social, environmental, economic and cultural impacts that today still remain unresolved. There has been a systematic violation of the rights of African-descent, indigenous Wayuu and peasant communities in La Guajira, who have not been compensated adequately for the damage, and now face situations of concern mainly regarding the following points: water, air, health, resettlement and prior consultation. 1. No more diversions or any type of intervention affecting the tributaries of the Ranchería river or any water source of La Guajira. The company must urgently comply with the order of the National Constitutional Court regarding the suspension of its activities in the Bruno Stream, and work on restoring the natural flow of the Bruno Stream. 2. To facilitate a rigorous, transparent, independent and autonomous study of the levels of water and air pollution, including transparency about current levels. The study must include the participation of different actors (academia, government institutions, non-governmental organizations, community and company). It must look at all the areas directly and indirectly affected by mining, and the possible diseases caused by such contamination. 3. The company must not promote, carry out or allow any more forced evictions of people from their territories of origin – territories which have been earmarked for the expansion of Cerrejón’s operations. 4. The company must comply with previous resettlement agreements, with adequate and comprehensive compensation for affected communities and it must respect regulations around the need for Free, Prior and Informed Consent. This includes urgent and immediate compliance with the measures regarding the provision and guarantee of drinking water in the resettlements. The company must also carry out sustainable projects, which correspond to the needs of these communities. Further, these projects must be carried out in good faith, and in the appropriate times, without company interference. 5. 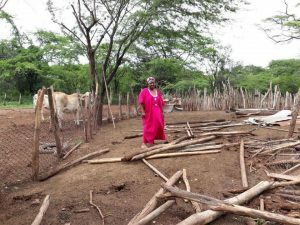 The communities of La Guajira and different sectors of civil society at regional, national and international level demand an end to the expansion of the mining frontier in La Guajira, as well as a plan to close the mine by 2034. 1. The Renova Foundation must act in good faith and not influence the independence or autonomy of community processes. The Renova Foundation is illegitimate, lacking the participation of those affected in their decision-making processes. It has actively delayed and co-opted community grievance and reparations processes. 2. Recognition of all families affected along the Rio Doce. All affected families must be granted emergency rights and participation in the compensation process. Currently, the company decides who is and who is not affected, while denying the indirect costs of the disaster. Many living slightly further away from the breach were still affected, but have not received any compensation. 3. Speed up the process of general repair, which has been unreliable and not transparent. This is especially urgent in the construction of housing, provision of health services and support for the resumption of local production. Further, permanent solutions must be sought for the economic reactivation of areas along the Rio Doce. Water insecurity is leading to a precarious situation for the provision of adequate food. 4. Affected communities continue to denounce the inefficiency of the Brazilian justice system, which benefits companies but not people. In March 2016, after disagreement over judicial jurisdiction, the criminal investigation conducted by the Civil Police was suspended, which delayed the investigation into the dam breach. In addition, the affected communities denounce the decision of the Federal Court of Ponte Nova (MG) that, in early August 2017, suspended the criminal case against 22 people accused of being responsible for the dam collapse. Communities seek accountability for those responsible. British-Australian mining company Rio Tinto and BHP are proposing the expansion of their mining project, the Resolution Copper Mine (RCM), in the Southwestern state of Arizona. Communities are opposing the RCM method of Block Caving mining (underground hard rock mining that allows the ore body to collapse under its own weight – the underground version of open pit mining) and the resulting environmental destruction if this project moves forward. Concerned Citizens and Retired Miners Coalition, a group of citizens who live in or have connections with the town affected, Superior, partially support the mining industry as a regional economic base but completely oppose the RCM method of Block Caving mining and the resulting environmental destruction if this project moves forward. BHP and Rio Tinto need to be held accountable for their poor decisions regarding this highly inappropriate proposed project.